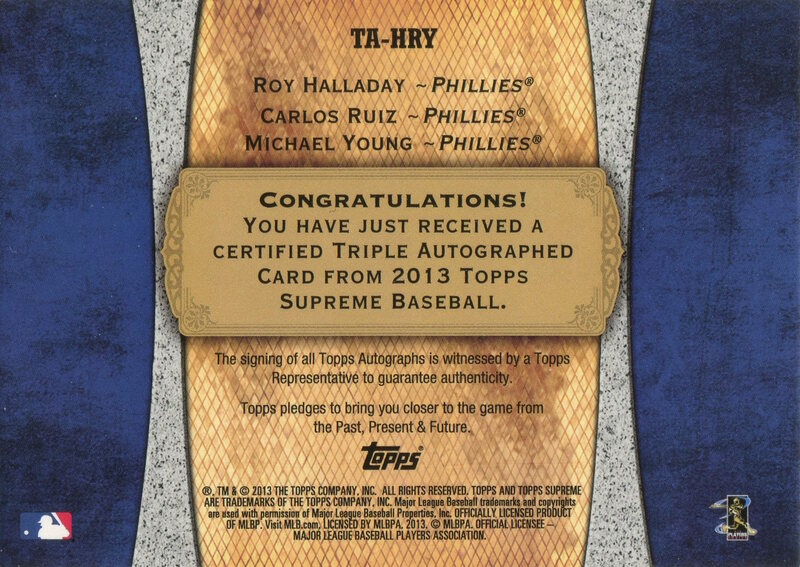 2013 Topps Supreme Triple Autographs #TA-HRY; Halladay, Ruiz, &… Young? There are very few cards that reach “must have” status for my collection. 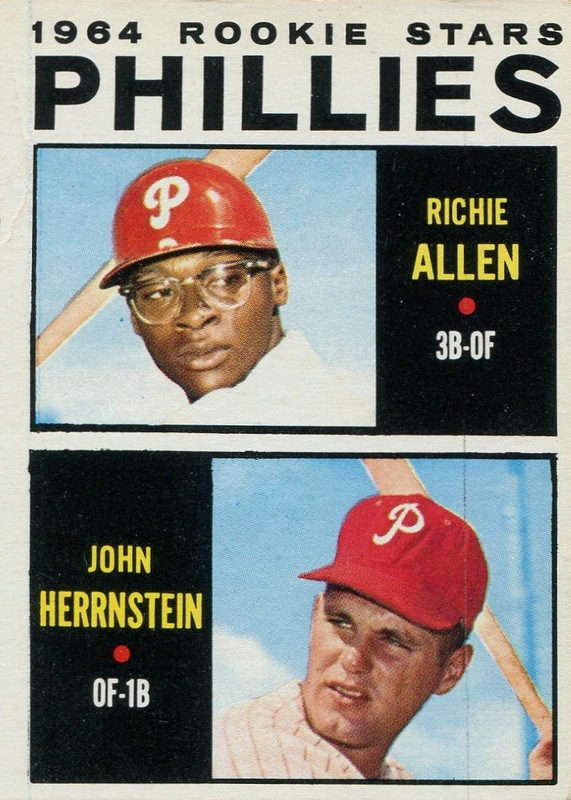 Most of them, such as the Richie Ashburn rookie card, in my opinion are just prerequisites for any serious Phillies team collector. However, every once in a very rare while, I just see a card and decide that I absolutely must have it. It’s almost always an emotional response — there’s no reason or logic as to why I need that card. But, I suspect on some level that’s true in varying degrees to what a lot of us collect. It’s just that some impulses are ridiculously stronger than others. 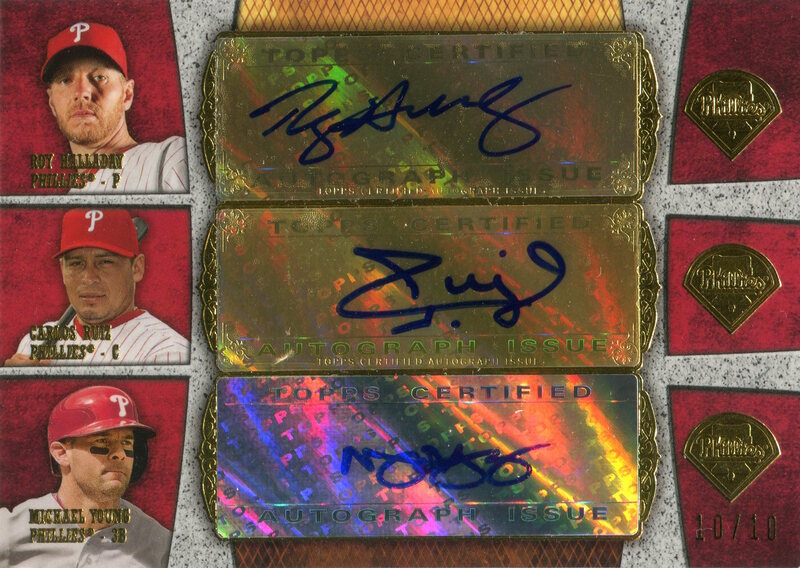 With that in mind, I bring you the 2013 Topps Supreme Triple Autographs card of Roy Halladay, Carlos Ruiz, and Michael Young. At the beginning of the year, I posted about the head-scratcher that was the 2013 Panini America’s Pastime Hitters Ink John Kruk & Carlos Ruiz card. 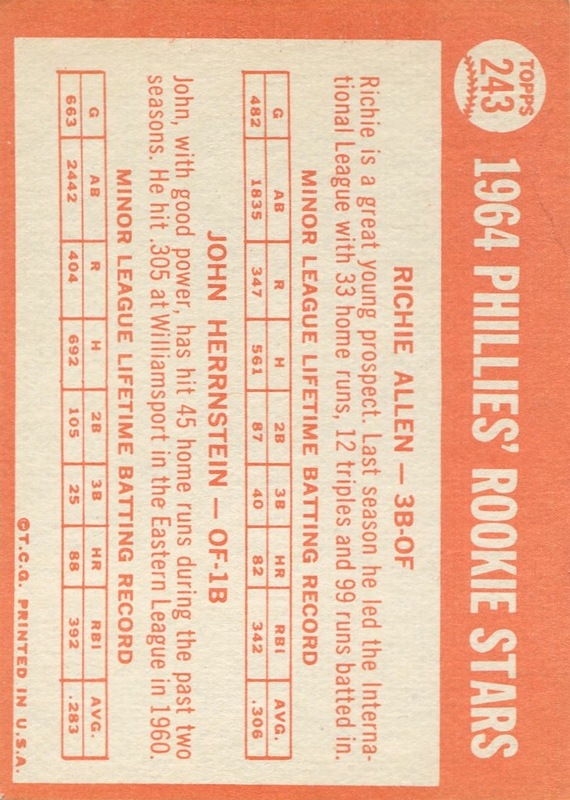 I reference it now because it seems to me that it’s the only Phillies-only multiple autograph card issued thus far that makes less sense than this card (though, the 2013 Topps Archives Triple Autograph of Larry Bowa, Darren Daulton, & Juan Samuel is certainly in the running). 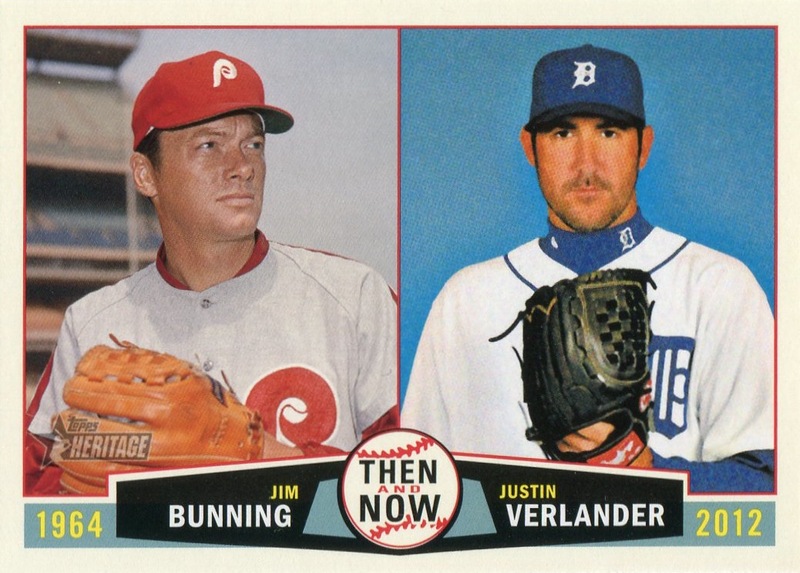 I’m being a little unfair with that statement — after all, each of these three were members of the 2013 Phillies. However, I just can’t imagine any Phillies fans picking Young when asked which other team member they associate with Halladay and Ruiz. 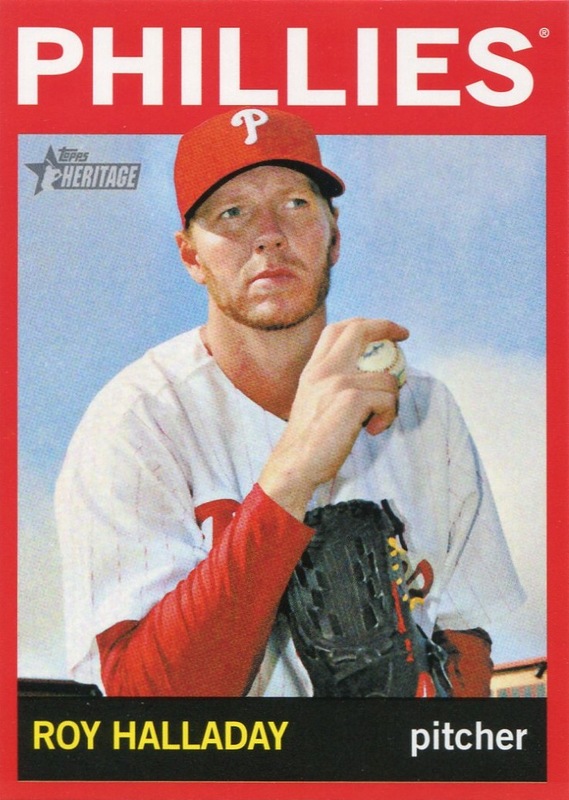 Another fascinating thing about this card is that the autograph stickers represent the disconnect; Ruiz’s and Halladay’s are clear on top of a gold foil background while the Young sticker has a silver foil backing. The scan of the card doesn’t do justice to how badly the silver foil wrecks the overall appearance of the card. For a premium product, it looks juvenilely slap-dash. 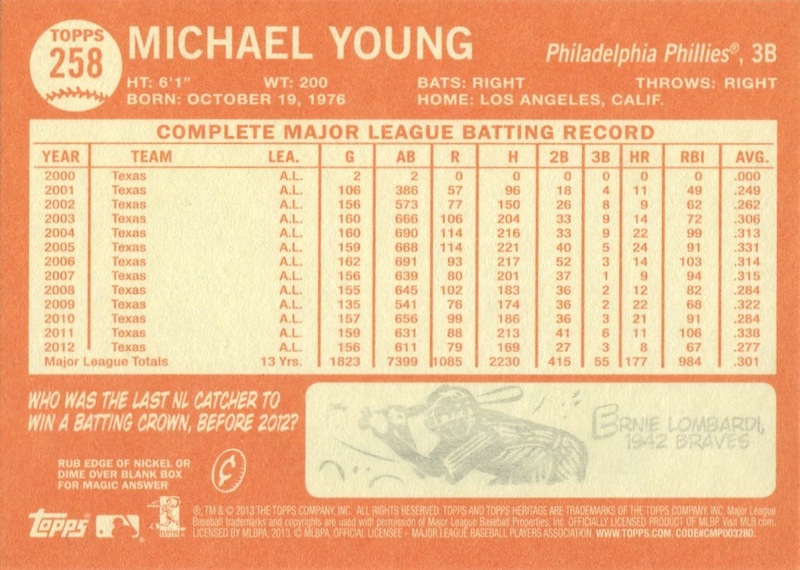 Yet, Topps clearly had Michael Young stickers lying around that needed to be used; hence this monstrosity. 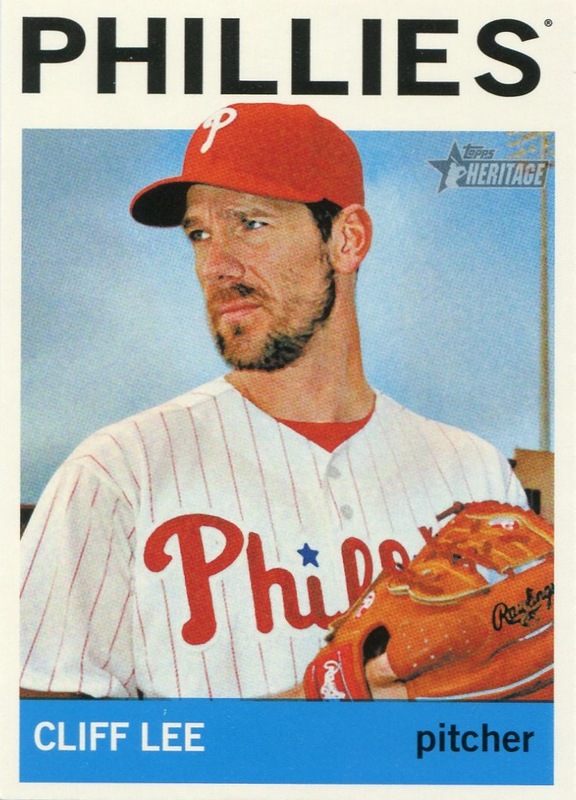 Here’s the real kicker about this card: it’s the only certified autograph card of Michael Young picturing and denoting him with the Phillies, and Topps only made 10 of it. The fact that 2013 Topps Supreme was (in theory) released only in Asia means that this is even harder to find in the US than the print run suggests. 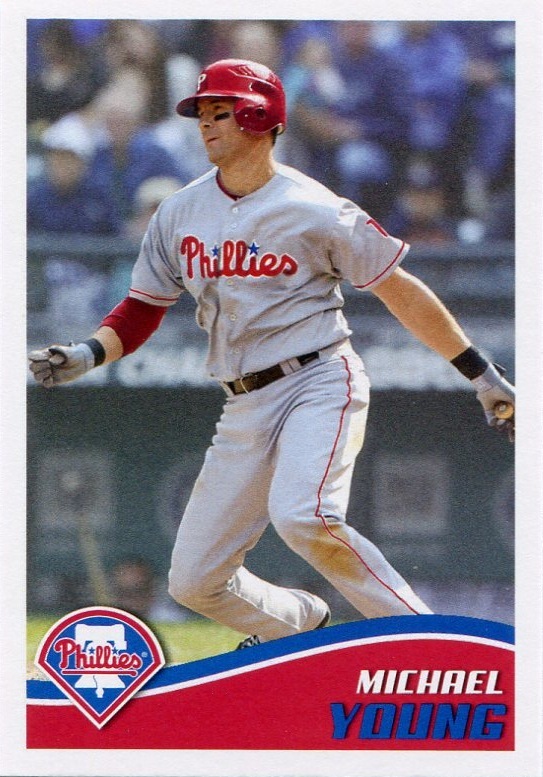 One day I plan to write a short series on the Phillies with the smallest number of certified autograph cards available, and I’m pretty certain that Michael Young will top the list. Even though I try to make sure that I grab as many certified Phillies autographs as I can, Young’s presence still doesn’t fully explain my irrational need for this card. 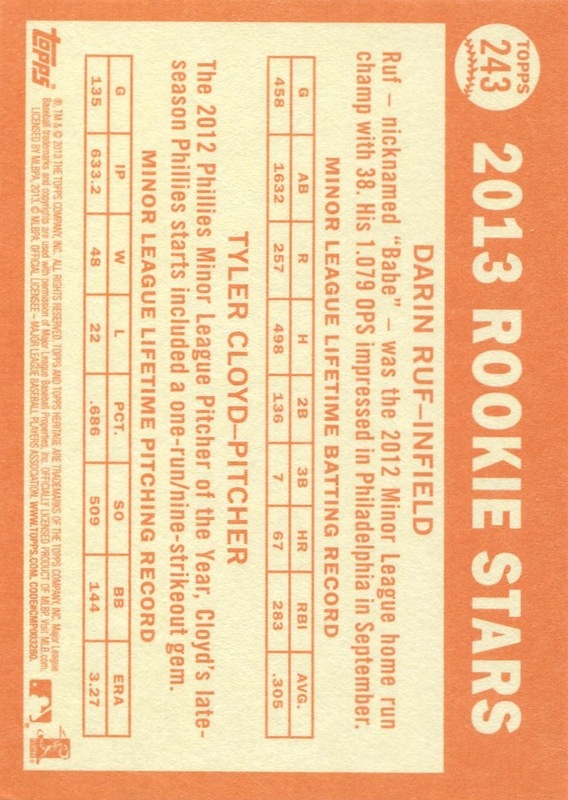 It’s ugly and reeks of Topps trying to make sure that they weren’t stuck with unused old autograph stickers for Young. Of all the cards with a print run of 10 or less in my collection, this is easily my least favorite. Yet, I’m still happy to have it. 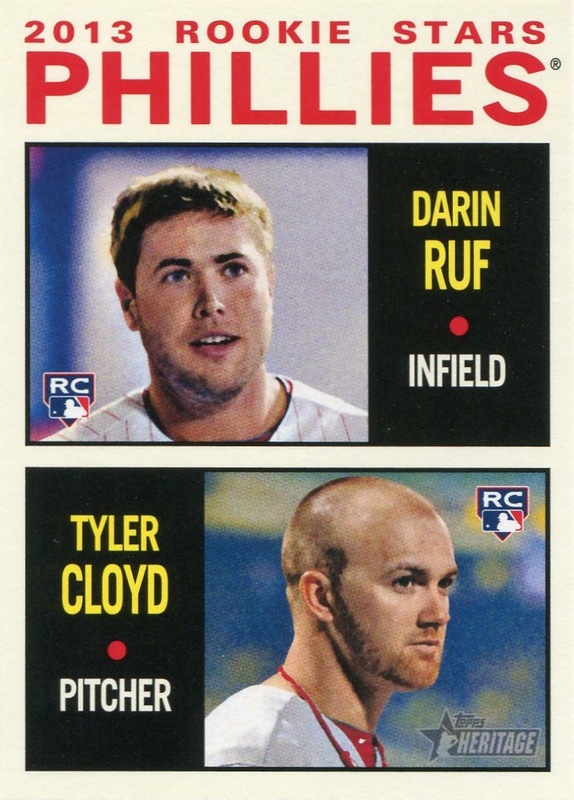 Additional information/14,000 Phillies Commentary: It seems to me that Topps managed to place itself in a no-win situation with this year’s sticker set. 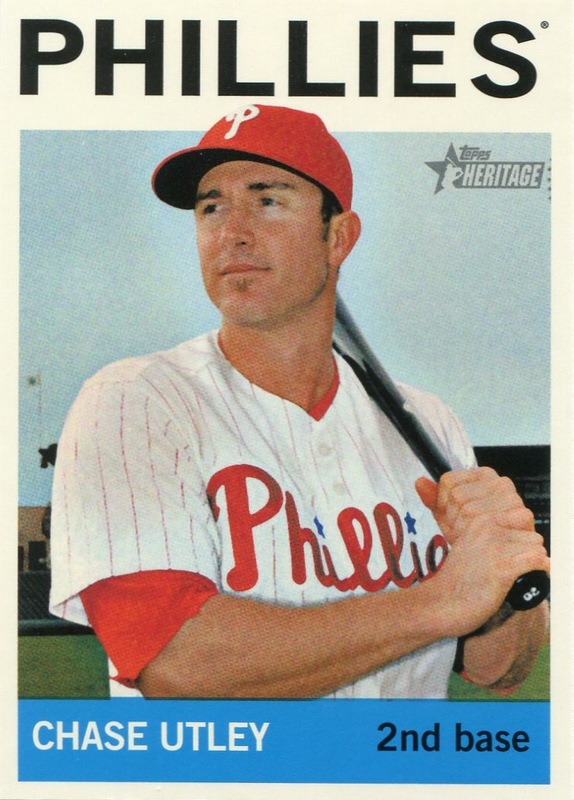 In 2012, the Chase Utley sticker was available both in sticker packs and as part of a six-sticker perforated sheet included inside the sticker album book. This was probably a compromise necessitated by Topps’ desire to provide a few stickers with the purchase of the album and the failure of how they attempted to do so in 2011 — they used a removable sticky strip to adhere a pack of stickers to the album. Unfortunately, the pack was also rather easy to steal. The compromise they came up with last year meant that the six stickers included with the album were essentially double prints, and those who collected stickers and placed them in the book were likely to acquire duplicates from future pack purchases. This year, Cole Hamels’s sticker was also included only as part of the perforated sheet of stickers included inside the sticker album. This solves the problem of unnecessary duplicates for those who use the stickers as intended, but it screws over collectors such as myself who are interested in keeping the stickers with their backing and acquiring complete team sets from dealers. Furthermore, since his sticker is only available in perforated form, getting one with four clean, sharp edges is next to impossible (using a paper-cutter might help, but I know from experience that the perforation marks are still somewhat visible even when you use one). I understand Topps’ desire to provide a starter pack with the purchase of the album, but they have actually hit upon a solution that probably annoys/angers/inconveniences most of the market interested in this particular set. 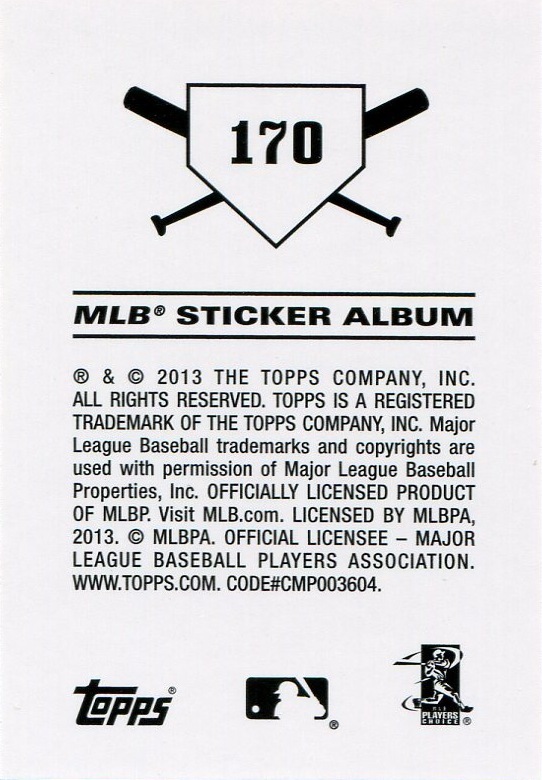 Please tell me again why Topps deserved to have its MLB-sanctioned monopoly renewed through 2020.